Diabetes is an illness that occurs when the body can’t balance its own blood glucose levels; there are two different types of diabetes, Type 1 and Type 2. Type 1 diabetes develops when the pancreas can’t produce enough insulin, because the cells that produce the insulin have been destroyed by the body’s immune system. Without insulin the body’s cells can’t absorb glucose which collects in the blood and may lead to symptoms of high blood sugar. These people manage their condition by injecting insulin into their system. When someone has type 2 diabetes it means that their body is producing insulin, however their tissues are not able to use the insulin to produce energy. This is called insulin resistance. If this continues untreated the insulin producing cells may get damaged and this leads to insulin deficiency. These people can normally manage their diabetes with appropriate diet, good health and exercise. How both types of diabetes are alike, is that they lead to a greater risk of many diseases such as heart and kidney disease. As a result they require a holistic approach to manage. It’s important for everyone’s well being to exercise regularly, but when you have diabetes you have even more reason to stay fit. Here are the different ways that exercise can help to regulate diabetes. 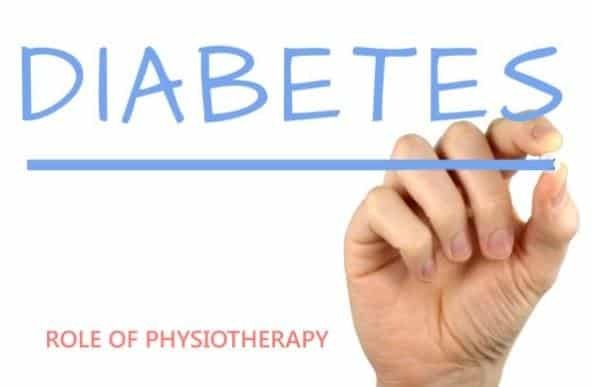 Physiotherapy plays an important role in the management of diabetes, from assisting in the prevention of diabetes to recovery from the condition. Your Physio is an important part of your team so get started on the road to managing your diabetes, contact a practice near you and book an assessment.